Third Street South, full of twinkly lights and wonderful red & silver decorations, launches the Holiday Season as the Mayor lights the official Christmas tree and…the snowfalls- which it continues to do every evening during this week-long celebration as well as each Thursday throughout the holiday season. On this special night many attractions for all to see and listen to- ice sculpting, ballet, musical performances throughout the streets and alleyways of Third Street South. All the stores and restaurants are open to start your Holiday shopping and cheer! 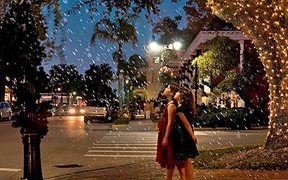 Third Street South continues the weeklong holiday celebration with musical performances and snow, November 20, 21, 23 and 24, from 5 to 8 PM. Enjoy live music, and everyone's favorite snow will also fall each of these evenings. The music and snow rest on Thanksgiving evening. There’s nothing quite like listening to live jazz music in the open air. 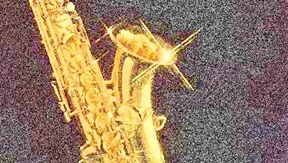 Join the Jazz society for an evening of outdoor music. Cambier Park sits on a lovely 12.84 acres and was named after William Cambier, a town engineer instrumental in the development of the City of Naples in 1926. This lovely park is located right in the heart of downtown Naples, just South of the prestigious 5th Avenue South. If you enjoy yourself, you can return on December 2 for the Naples Concert Band; on December 9 for the Gulf Coast Big Band; and on December 16 for the Naples Dixieland Jazz Band. Since 1967, the Naples Artcrafters have been hosting fine art and craft shows. Artcrafters members include painters, potters, jewelers and just about every other artistic discipline imaginable. These free shows are held in Cambier Park, one block south of Fifth Avenue in downtown Naples. You’ll be within easy walking distance to many fine restaurants, boutiques, and galleries. Parking for the shows is free n the public parking garage adjacent to the park in downtown Naples. 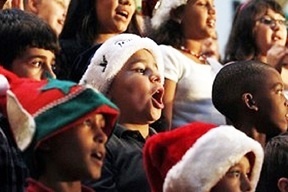 You won’t want to miss this Naples' tradition as choral groups, dance troupes, theatre troupe, bands and more come together to bring this annual extravaganza to the Avenue. Mayor Bill Barnett and ABC 7 Anchor Krista Fogelsong will be on hand to light the tree and kick off the holidays on the Avenue. You know you’re in Florida when boats are part of the Christmas celebration! Join us for a Village tradition as we watch the twinkling procession of boats making their way down Venetian Bay. Enjoy live entertainment, a snow show, face painting, balloon art, holiday carolers, stories with Mrs. Claus and a special appearance by Santa Claus. 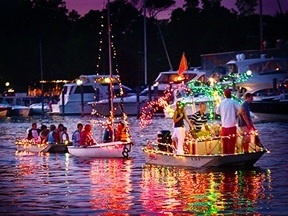 Boat parade starts at 6:30 p.m. and will follow a shortened route so spectators at The Village will see more of the beautifully lit parade! 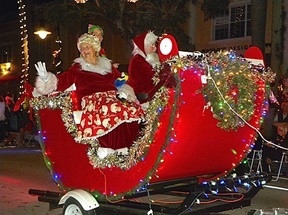 Wednesday, December 12, 2018, from 6:00 p.m. to 8:00 p.m.
Come to downtown Naples (649 Fifth Avenue South, Naples) for floats, fire engines, school groups, school bands, dance troupes, boy and girl scouts, civic groups and so much more that brings this annual tradition to life! The parade follows the traditional route starting at South Broad then on to 3rd Street to 5th Avenue South. 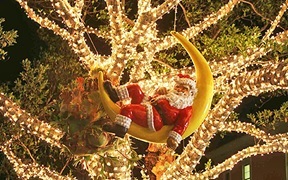 And, don’t forget Santa and Mrs. Claus! Thursday, December 13, 2018 - 5:00 p.m. to 7:00 p.m.
Hey! Dogs like to celebrate Christmas, too! 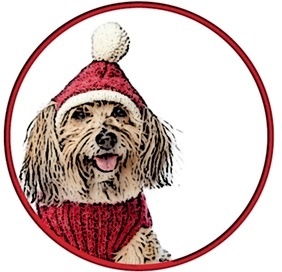 Bring out your pups to meet and take holiday photos with Santa! You can also meet the adorable, adoptable pets from the Humane Society of Naples and make your holidays even more dog-friendly! Drop off your receipts from Thursday, December 13th to Sunday, December 16th and The Village will donate 10% back to the Humane Society of Naples. Friday, December 14, 2018, from 6:30 p.m. to 7:30 p.m. 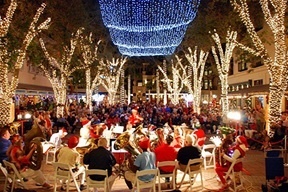 Celebrate the holidays on 5th Avenue South with live music, shopping, dining and dancing from 6:30 p.m. to 9:30 p.m. Join more than 50 musicians of all ages as they perform traditional holiday tunes and sing-a-longs during TUBA Christmas in Sudgen Plaza from 6:30 to 7:30. December 31, 2018 from 7:30 p.m. to 8:00 p.m.
Who says fireworks can only happen on the 4th of July? Not in Naples! 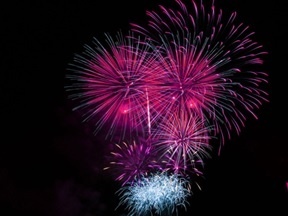 Join us at the Naples Pier area from 7:30 - 8:00 pm for a way to celebrate the New Year with a real bang. Find a spot anywhere along Naples Beach for the annual New Year's Eve fireworks. Most area boat sightseeing tours offer passage to watch the fireworks from the water vantage point. Advance reservations are required for boat excursions. Taxis, limos, and rideshare services are highly recommended instead of driving and parking at beach areas.